Uhud Battlefield is a map which has been designed as a 3v3 Ground war, but much fun can be had by playing various combinations, or against the AI. Each player will start the game with 2 main Ore Nodes with plenty of choice for expansion to the many isolated extra nodes positioned around the map. All the major areas on the map have expansion support. Key areas of capture will be the Observation Stations in the Civilian region, at the centre of the map and the local Lookout stations, near the player starting positions. There are many choke points created by the hills and irregular terrain. There is very little water in this map, so you will need to build and prepare your army for a land battle as Naval Yard production is disabled. to naval bombbardment. 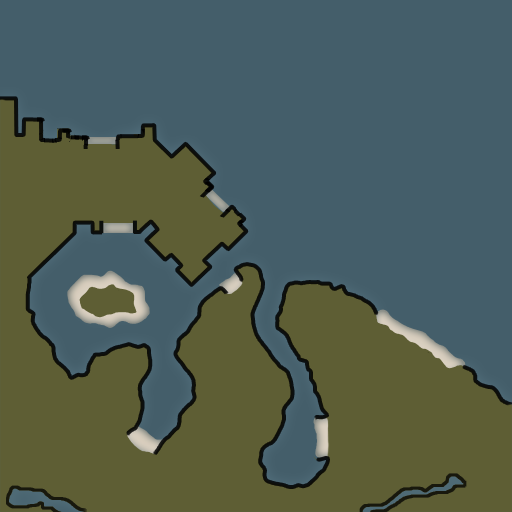 Conquer the land and water to ensure victory. This one is my 4th map and it was originally designed for Mission-like scripted gameplay but due to hard modding issues, I'm releasing this one with scripts-free Skirmish Gameplay. This map was also a participant of CnCMaps.com Command & Conquer Map Competition. About Gameplay: This one is about pure team play. 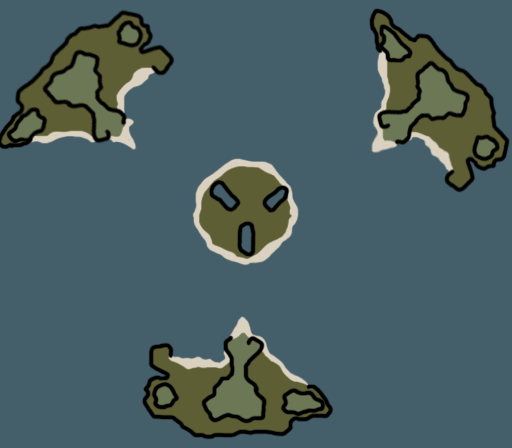 Two land masses represent each team and are separated by river. 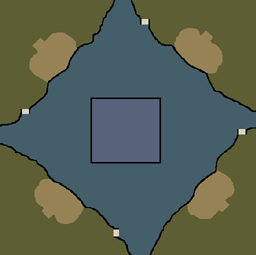 Small island town located in the centre of the map, it has a Veteran Academy and expansions and the two land masses are connected by bridges. There are also remote ocean islands with Expansions and Oil Derricks to diverse and protract the gameplay. 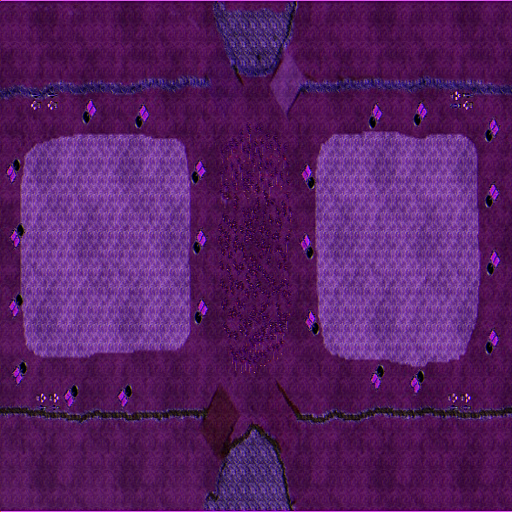 There are even more terrain features I implemented, which you may find during match play.